Boba tea, or bubble tea, combines just a few ingredients to create a fun iced tea drink that is a cult favorite. Small dark tapioca pearls dot the bottom of this beverage while additions of milk, sweeteners, and fruit lend unusual takes to traditional recipes. These teas are so popular in Asian countries like Japan that there are bubble tea shops dedicated solely to unique concoctions of this drink. You don't have to head to a fancy tea shop or your local coffeehouse to get your hands on this creamy beverage. You can make bubble tea right in your own kitchen without a lot of hassle or ingredients. 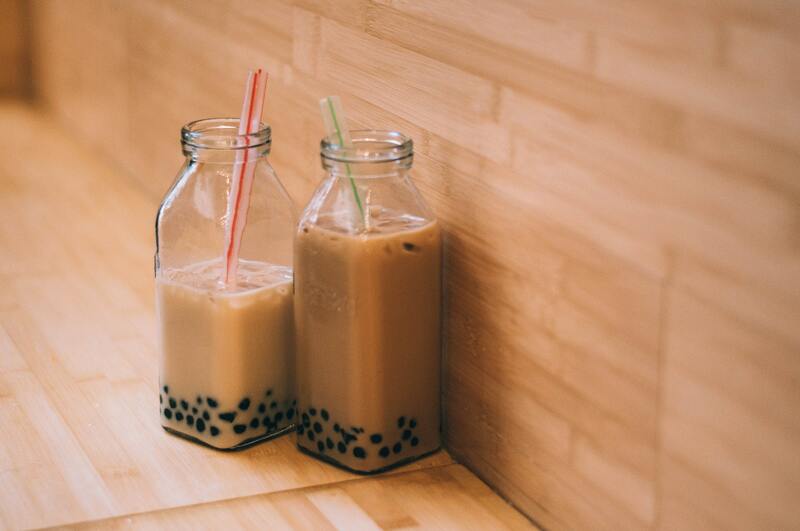 For all boba recipes, you'll need tapioca pearls. These are available online or at your local Asian supermarket. You'll also need a wide straw that can accommodate the tapioca pearls when drinking. 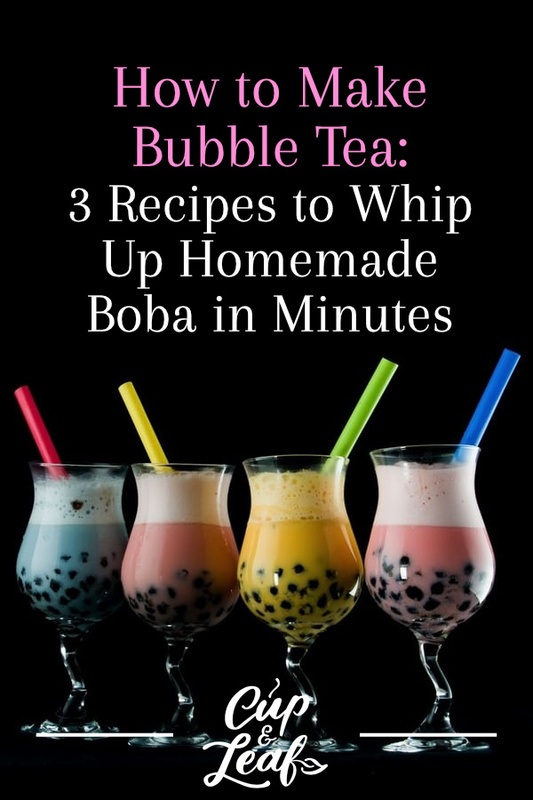 Check out our easy recipes for homemade boba and enjoy in minutes! What Is Boba or Bubble Tea? Bubble tea is a staple of most tea shops these days. Boba is unique because of its use of chewy black tapioca pearls. Boba tea originated in Taiwan and gained popularity there in the 1980s. 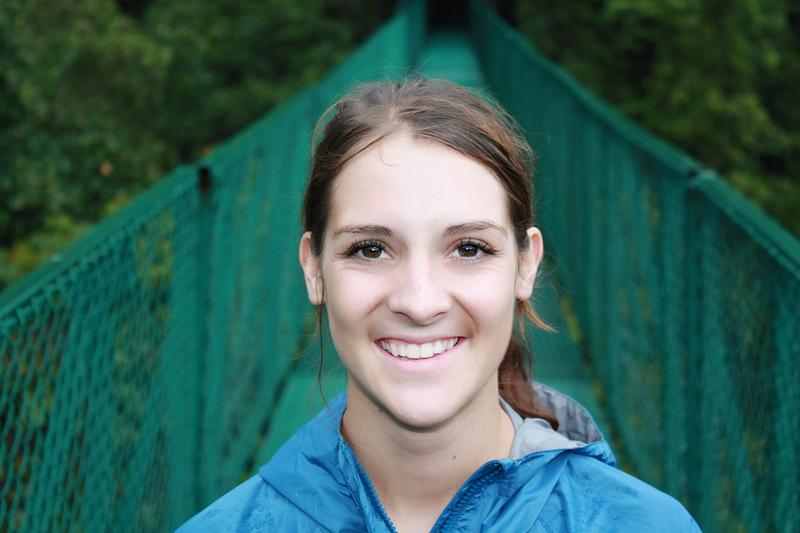 It's everywhere from Chinatown to street food markets and upscale tea estates. In the last 10 years, this Taiwanese tea has become increasingly popular in Europe and the United States. 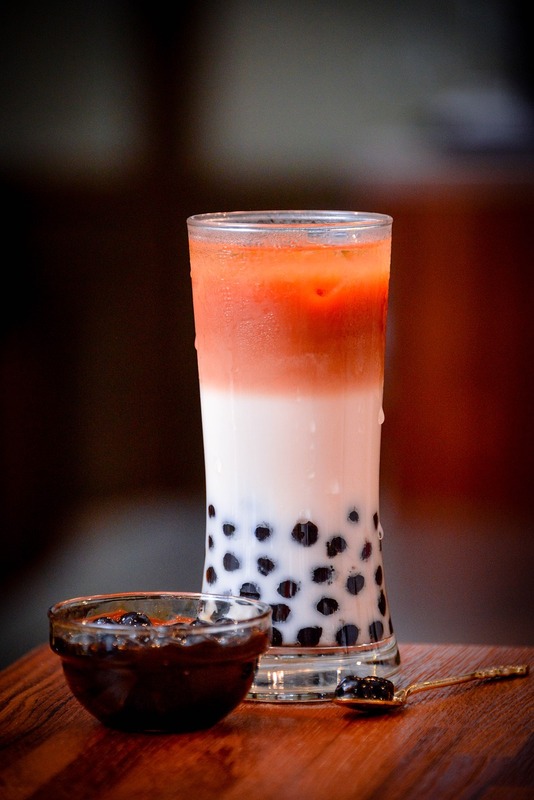 The original bubble tea was made using basil seeds of jelly cubes instead of the black tapioca pearls used today. Most boba teas are blended with frothy milk to form an exquisitely delightful beverage that's fun for the whole family. The nice thing about boba is that you can cook large batches of tapioca pearls and save for later. That way you always have cooked pearls on hand to make this fun beverage. Once the pearls are cooked, separate the ones you want to use immediately from the ones you want to store for later. Add sugar syrup such as simple syrup to preserve the extra tapioca pearls. Place them in an airtight container and store at room temperature. Do not store tapioca pearls in the refrigerator or freezer. Most tapioca pearls that you buy at and Asian grocery store or tea shop will come with cooking instructions. In general, you should use about 7 servings of water for every 1 serving of tapioca pearls. The cook time for boba pearls is usually about 10 minutes on high heat. This varies depending on elevation so cook the pearls until they are chewy and soft. To preserve pearls for later use, follow the initial cook time with 30 minutes on medium heat. Stir occasionally to prevent the pearls from sticking to the bottom of the pan. Start by bringing the water to a rapid boil over high heat. Add the boba pearls to the boiling water and cook for 10 minutes or until soft. To save pearls for later, turn down to medium heat and let the pearls cook in the hot water for another 30 minutes. You need to rinse the tapioca pearls after they are boiled to preserve texture and flavor. Use a fine mesh strainer to strain the pearls before adding them to a small bowl. If you are going to store excess pearls, cool to room temperature before sealing the container. Add in the honey or sugar syrup. Brew tea using tea bags or loose leaf tea and one cup of water. For black teas, brew between 200 and 212 F. Brew green teas between 160 and 180 F. Let the tea cool to room temperature before adding the pearls. Use 1 tea bag for standard strength boba tea or opt for 2 tea bags for a stronger flavor. Add 3 to 4 ice cubes to a tall glass. For larger servings or pitcher-sized amounts, simply quadruple this recipe. Add a whole cup ice to keep the beverage cool in the midday sun if serving at an outdoor brunch. Add flair to your boba tea by garnishing with a slice of lemon. Sip through a wide straw and enjoy the chewy nature of the boba pearls and sweet taste of the tea. Follow the instructions from the simple boba tea recipe to cook and rinse the tapioca balls. Brew and add tea in the same way you would for simple boba tea. You can use regular milk or alternatives such as rice milk and almond milk. Many boba teas are sweetened with condensed milk. This variety is thicker and more luxurious when it comes to flavor and texture. It is full-bodied and more similar to a shake. Take your bubble tea to the next level by adding fruit to this popular favorite. The options here are endless. Make mango bubble tea, strawberry bubble tea, or even orange bubble tea. Just find your favorite fruits and follow the recipe below for fruity bubble tea in minutes. You can also substitute fruit juice for real fruit if desired. Follow the instructions above to prepare the tapioca pearls. Combine fruit, honey, milk, and ice in a blender or a cocktail shaker. Pour into a tall glass and add ice. Garnish with a few pieces of fruit or add a mint leaf. Making boba tea at home is easy. This beverage is sure to delight children and adults alike with its cool flavor and chewy boba beads. Play with flavors and try new fruit infusions to add a little excitement to the standard blends. Different types of sweeteners affect the taste of boba tea. Use honey and brown sugar for more earthy flavors. Use sugar syrups if you are brewing old pearls with cold water since granulated white sugars won't dissolve well. 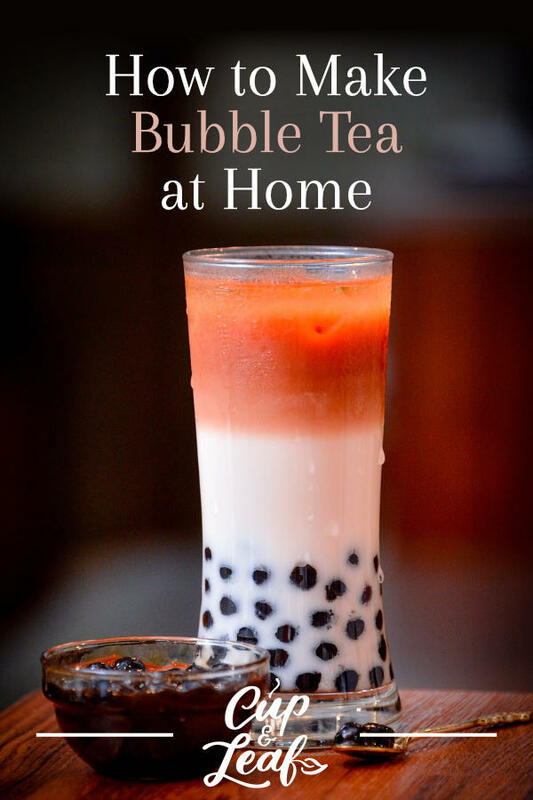 Bring the delight of multicolored boba shops into your home with this bubbly beverage.